Pop Art and mirror effects are a doddle in DSLR Remote Pro. 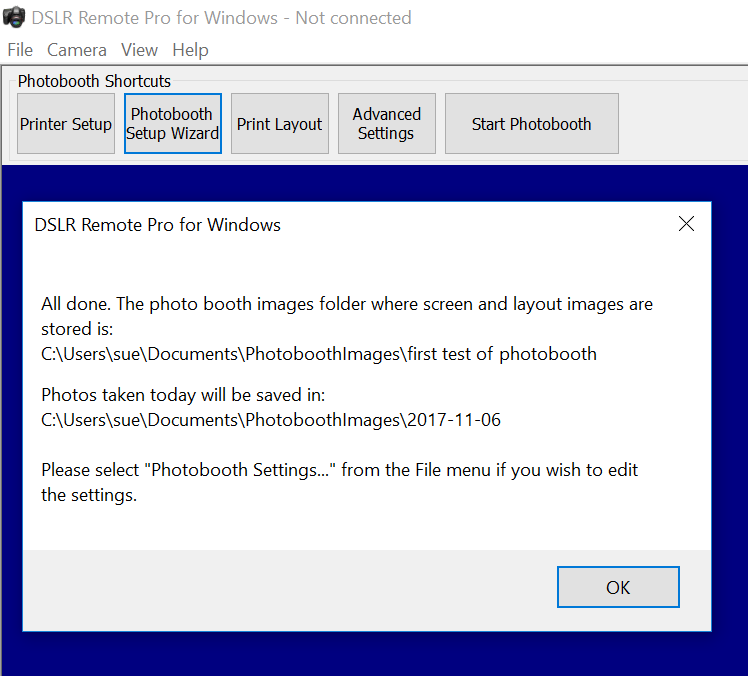 Set up your booth as usual, copy PhotoboothcreativeFilter.dll into your PhotoboothImages folder, then select the filter you want to use. That’s it! DSLR Remote Pro 3.13 ships with ten creative filters and six Instagram style filters as standard. This post explains how to use mirror, Pop Art and other filters in still photos, slideshow and boomerang (burst) GIFs. I ran the Photo Booth Setup wizard to create a working booth, and shared slideshow GIFs instead of the print layout. Start the booth and DSLR Remote Pro will display the default filter (color negative). Drop down list of creative filters. DSLR Remote Pro 3.13 introduces mirroring and an ‘off’ setting. Type Ctrl+Shift+C on the Ready screen to switch to a different filter or turn them off completely. Advanced users can offer guests a menu of filters using profiles. This is beyond the scope of this post. The current filter is automatically saved* for the Photobooth Images folder you are using. When you next load this Photobooth Images folder into DSLR Remote Pro, it will automatically run the same filter. 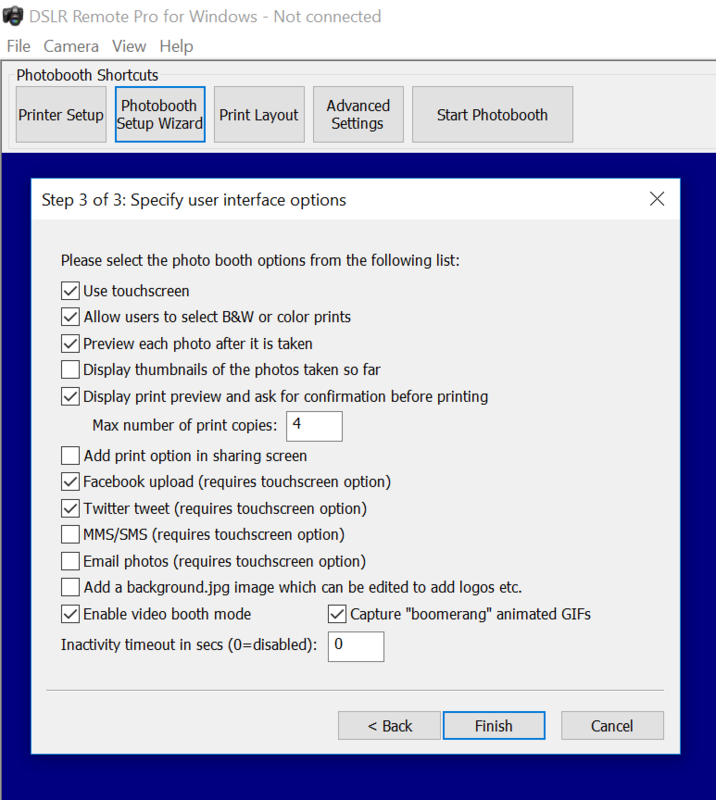 *Filter settings are saved in the program registry for each Photobooth Images folder. DSLR Remote Pro gives you a lot of control over where your images are stored. This can be really useful when you want to use a watch folder to share, display or upload images from the booth. This post explains where DSLR Remote Pro usually places different types of images. If you shoot in portrait the top/bottom and left/right filters are swapped. The two by two mosaic works but ‘swap top halves’ is not designed for portrait orientation. For more details see the DSLR Remote Pro help files. DSLR Remote Pro 3.13 is a free upgrade for all registered users who purchased DSLR Remote Pro after 14th April 2018. Customers with older licenses need to buy an upgrade license to use this release. April 4th: The version of the Event Editor described below has been replaced by v1.1.2, which can be downloaded here . You can find detailed instructions for the Event Editor in the new help files. Breeze Booth 1.0.1 is now available in the App Store, find the App here . The beta program is now closed. The Breeze Booth Event Editor is a powerful Windows based program which can be used to create and edit events for Breeze Booth for iPad. Do join the beta program and explore Breeze Booth for iPad before using the editor. Play with ‘Designer‘ (the first event) to get a feel for what you can achieve with Breeze Booth for iPad. Easier editing – you will find it much simpler to load events into the Editor, copy them and save your work. Event Editor runs on a Windows 10, 8 or 7 computer. Download it from here. Start the Event Editor, and select Open. The first event is called Designer and showcases many of the features included with Breeze Booth for iPad. You are welcome to use this design (or parts of it) with Breeze Booth for iPad at your own events. The remaining 8 events are much simpler. They are intended to help you create your own designs. This post will show you how to copy one of these simple events (Photos with virtual props) and edit it for your own use. Photos with virtual props takes one photo and shares it on a custom background. Guests choose between 3 virtual props. They can also choose whether to shoot in color, B&W, sepia, comic effect or using a filter. The photo can be shared by email . Breeze Booth for iPad lets guests switch between portrait and landscape orientation on the fly (great for roaming booths like the Ring Roamer). 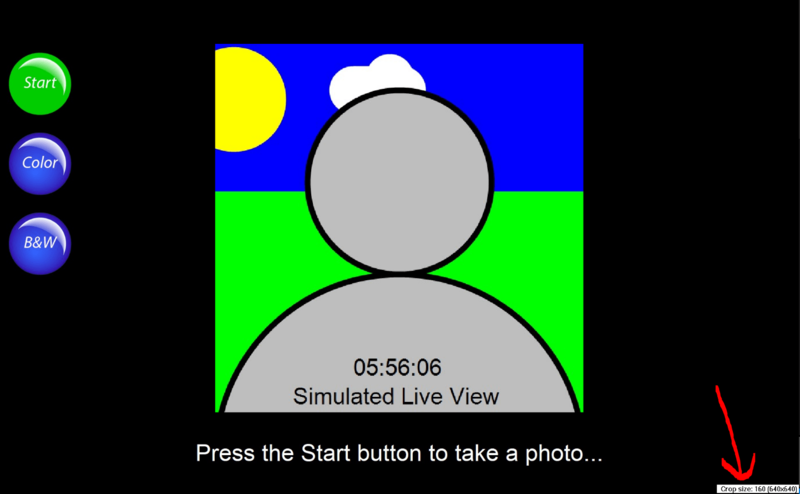 My virtual props event can be used in both portrait and landscape orientation, so has designs for both. If you will always run an event in the same orientation, you don’t need to create both designs. The original Photos with virtual props takes one photo and shares it on a colored background with a custom logo. Guests choose between 3 virtual props. They can also choose whether to shoot in color, B&W, sepia, comic effect or using a filter. The photo can be shared by email . *You can add up to 5 different png or jpg logos to each print layout in addition to the background and overlay. This is a simple way of branding a design for a particular event, and can also be used as a quick way to add an image of the bride and groom (taken earlier in the day) to wedding photo booths. 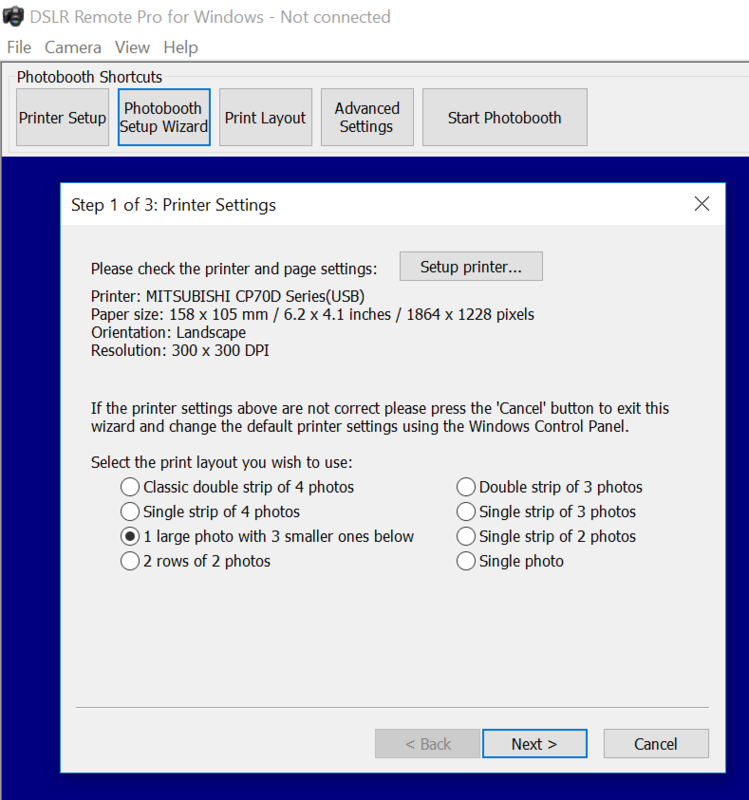 The Photo Booth Settings Screen is displayed for the profile you selected. It has 5 tabs : General, Photos, Slideshow GIFs, Burst GIFs, and Share. You can access powerful editors to design your screens, prints and GIFs from these settings. Before you leave the event editor…. When you have finished editing the event, check OK to save all your changes. The new event includes has two photos instead of one so we need a second countdown GIF 2.gif . We also need a screen called share_slideshow.jpg to share the new slideshow GIF. If you make any changes to your events, the Event Editor will prompt you to save changes to your events.xml folder. It is important that you select Yes to save the changes you have made and update the manifest. Upload the events folder to a folder on a web server, then go the to the settings screen in Breeze Booth for Ipad and edit the URL for the sync server to point to this folder. Then use the events screen in Breeze Booth for iPad to sync the events. Important: This method can only be used with secure servers that have https e.g. https://breezesys.com. It will not work with http URLs. Sample events are available by setting the sync server to https://bb4ipad.com/sync in the iPad’s app settings. Copy the event folder to a folder on iCloud that is visible on the iPad. Then use the Files app to copy the files to Breeze Booth for iPad’s assets folder. 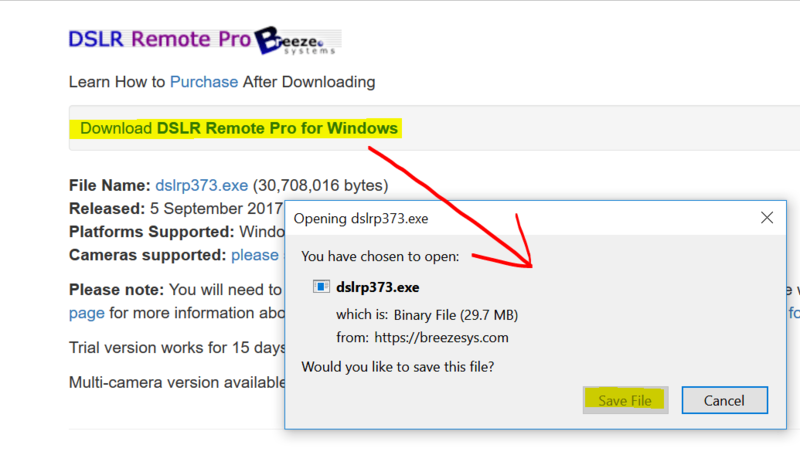 This post has taken you through downloading and installing both the Breeze Booth Event Editor and a set of sample events onto a Windows PC. I have also shown how to create your own event based on one of the samples provided by Breeze, and outlined ways to transfer new and updated events to your iPads. Finally there are short notes about printing using Airprint and a Windows PC. If you found this post useful please share it with others. Have you tried Breeze Kiosk recently? This post outlines ways you can use our flexible and economical sharing software at corporate and social events. Breeze Kiosk runs on Windows. You can use it to share and print images from Breeze photo booth programs DSLR Remote Pro, Webcam Photobooth and Breeze Booth for iPad. You can also use Breeze Kiosk with still (JPEG) and animated (GIF, MP4 or MOV) images captured by other software. How can I use Breeze Kiosk? Breeze Kiosk email entry screen with check box for guest consent. Consent can be recorded in a csv file against the image and email address entered. What’s new in Breeze Kiosk 1.4.4? What will Breeze Kiosk cost? Each Breeze Kiosk license costs just US $150 for a lifetime license & one year’s free upgrades. For this great price you can run one kiosk and have a second backup/office copy of the program. If you buy Breeze Kiosk at the same time as DSLR Remote Pro or Hotfolder Prints it costs just US $100 . Breeze Kiosk 1.4.4 is a free upgrade for all registered users who purchased a license on or after 15th April 2017. Customers with an older Breeze Kiosk license can buy an upgrade license for just US $75 to use this release. Prices quoted are correct at 25th May 2018, and are valid for online sales from our website. They exclude any tax due. 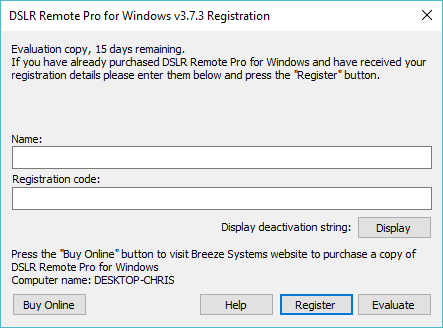 Download Breeze Kiosk and try it for yourself for up to 14 days before buying a license. Check a single box in the Photobooth Setup Wizard to shoot and print square photos using Breeze DSLR Remote Pro 3.9. 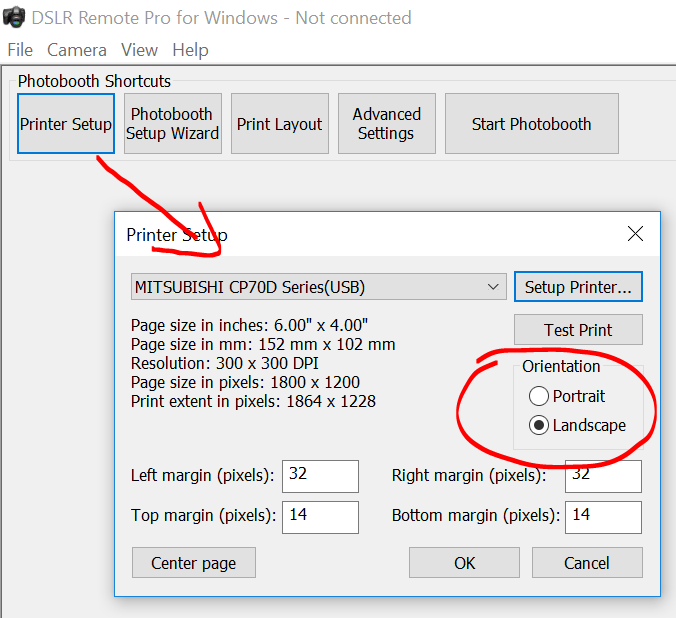 Start DSLR Remote Pro and run the Photobooth Setup Wizard (1) to set up a basic booth, selecting a square live view (2) at Step 2. 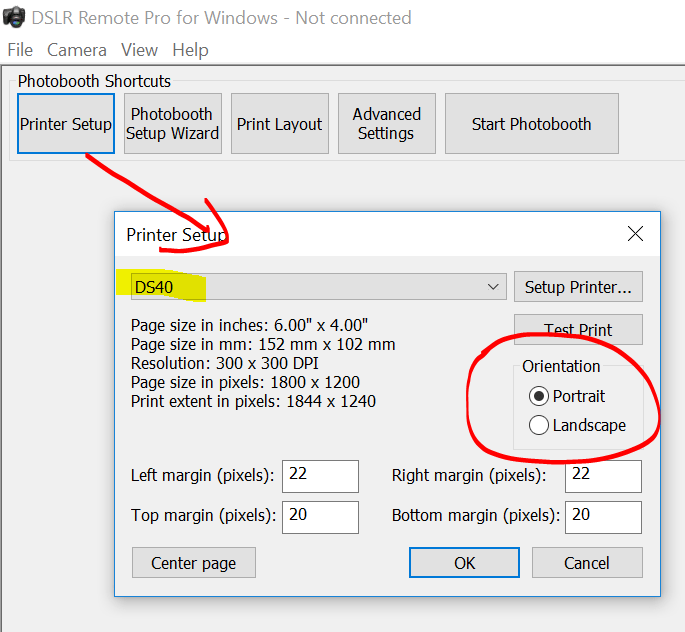 DSLR Remote Pro allows you to customize your booth setup without connecting the camera. In this example I have chosen a single photo (3) at Step 3. 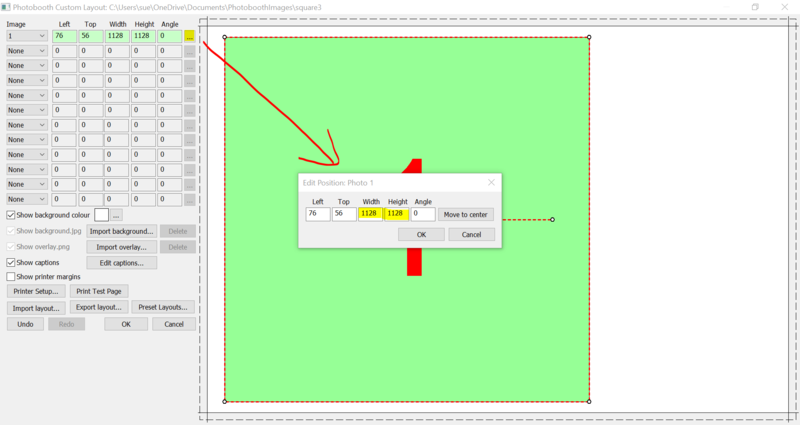 When you open the Print Layout Editor you will see that the print layout is square. Customize your print as usual. 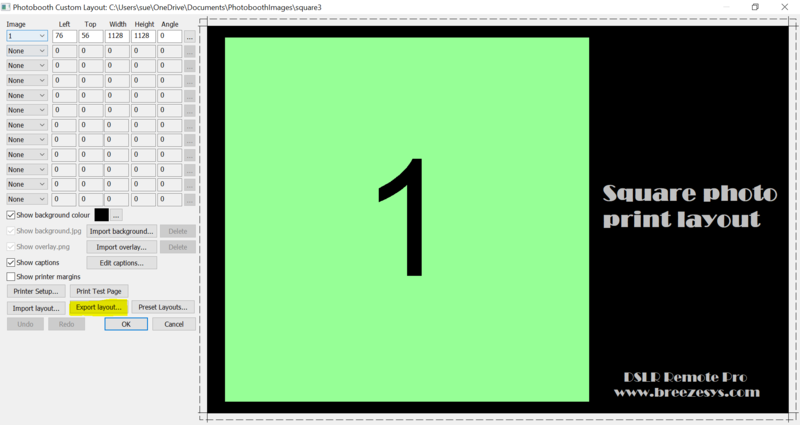 The Photobooth Setup Wizard has cropped both the live view and print layout for you. How to make life easier for your booth attendants, and protect the settings you don’t want changed in 7 simple steps. 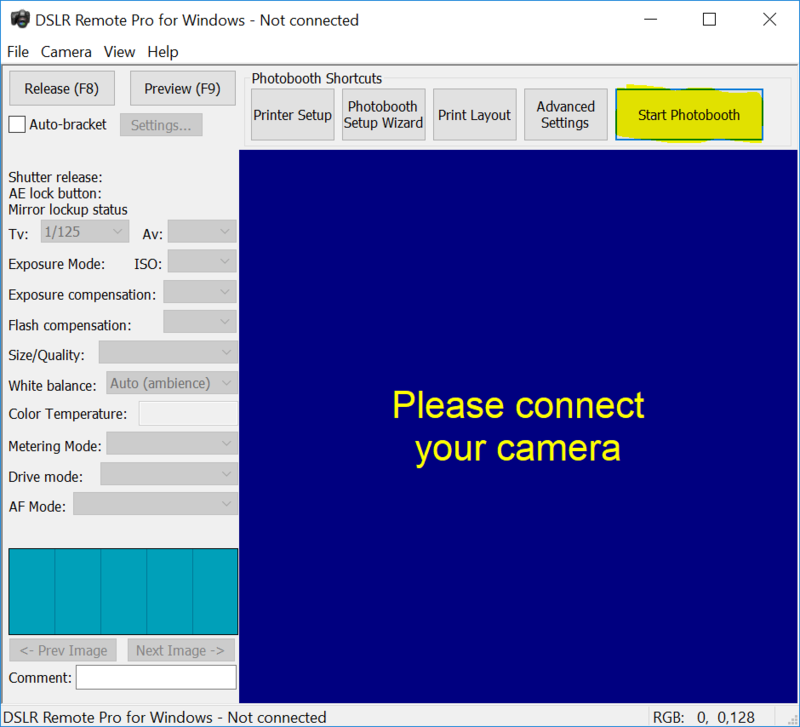 This post has been written for DSLR Remote Pro 3.8.1. 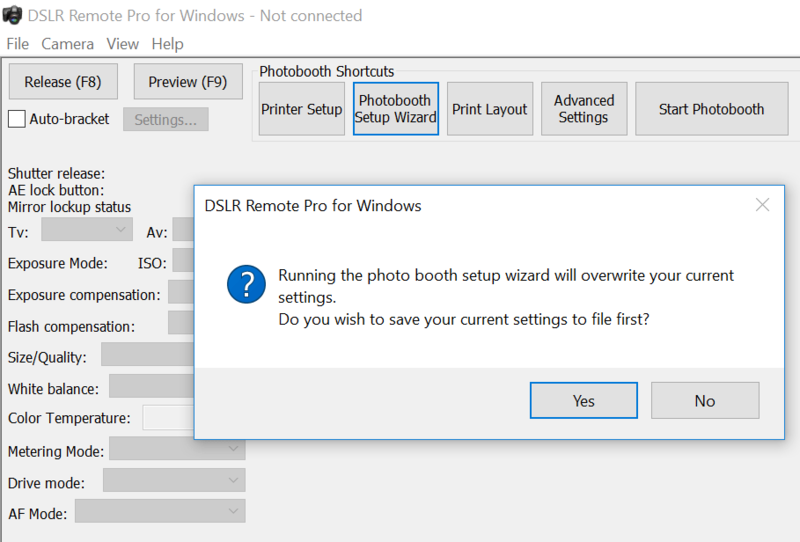 To start the Photobooth running as soon as DSLR Remote Pro is started and the camera connected and switched on, select Advanced Settings then check the box Start full screen photobooth automatically …. DSLR Remote Pro allows you to control the camera from your PC. You can find these settings on the left of the main screen (highlighted in green below). The large buttons at the top of the main screen (highlighted in green below) are called Photobooth Shortcut buttons. They are quick ways to control your booth. If necessary show the Photobooth Shortcut buttons as above. The default set of five buttons are shown in red in this list. Select View then Photobooth Shortcuts Settings to see the Photobooth Shortcut Setp Screen. Photobooth Shortcut Buttons screen DSLR Remote Pro 3.8.1. Shows where to change the text and size of buttons. 1. 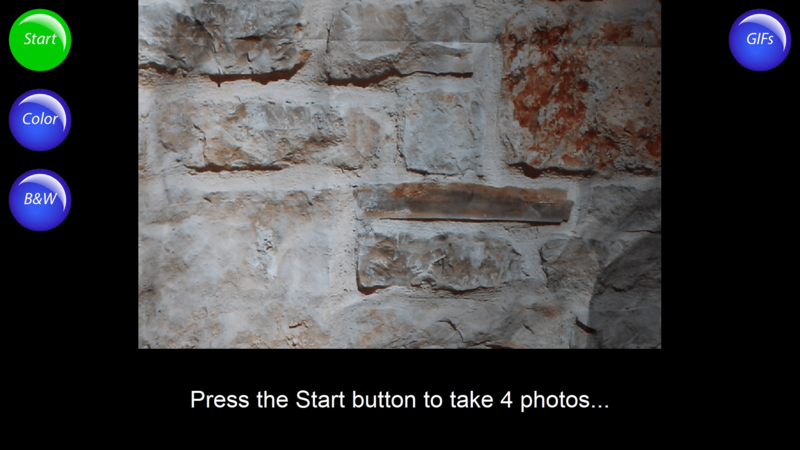 Edit the text of any button; here Start Photobooth has been changed to Go! 3. Press OK to save the new settings before leaving this screen. You can prevent unauthorized access to the Advanced Settings and Photobooth Setup Wizard using Lockdown. Select view then Lockdown mode.. Enter a password and press OK to save it. Lockdown prevents unauthorised access to the Advanced Settings and Photobooth Setup Wizard. Operators will still be able to alter the print layout if necessary during an event. Note: The lockdown password can be reset if necessary. Contact support@breezesys.com for details. This section explains how to link profiles you have already created to Shortcut buttons. It does not explain how to create profiles. Check the buttons for each profile you want to use (1), and customise the text for each button (2). When you have finished, press OK (3) to return to the main screen. The new buttons for each profile are shown highlighted in green. Download DSLR Remote Pro to try for yourself. Thank you for taking the time to read this post. If you found it helpful; please share the post with others. Copyright Breeze Systems Ltd 2018.